A weekly meeting of faculty, post docs and students to discuss contemporary and significant findings in the field of Ophthalmology. 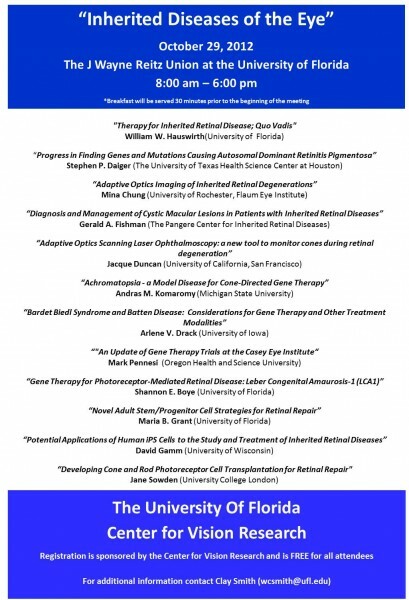 Don’t be fooled by the title… subject matter is not restricted only to Neuroscience but to every aspect of the eye. 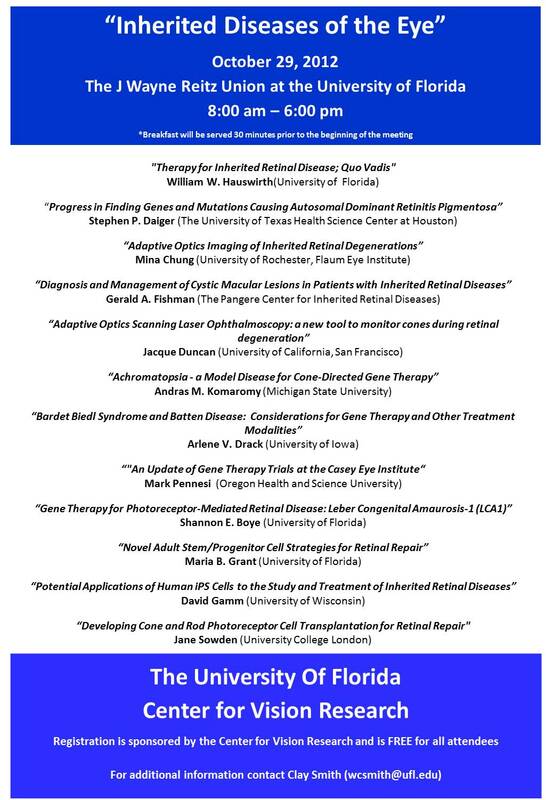 In order to keep abreast of vision research happening outside the walls of the University of Florida, we invite speakers from all over the country and the world to lecture at this monthly seminar series. For a list of upcoming events, please refer to the calendar on our homepage.